Mabinogi allows you to create your own anime life in an experience that is simply overflowing with content, features and options. Watch your character grow in game as you explore the world of Erinn through quests, community engagement and an endless number of opportunities. Originally launched in 2008 the heart of the Mabinogi experience is the rebirth system that allows you to restart your character while keeping the skills you’ve acquired. This is particularly important in Mabinogi due to the dozens of talents and life skills, ensuring that you don’t have to feel locked into your original decision. Your only limit in Mabinogi is the race that you select (human, elf or giant) which dictates what your role in the game world will be. Elves for example are skilled archers and magic users while giants are very weak in these areas and prefer melee based combat. In addition to race players will uniquely have to select their intended starting age (between 10 and 17) which impacts on your starting stats and character growth. This age will then increase every week in game with the aforementioned rebirth system becoming available at age 20. 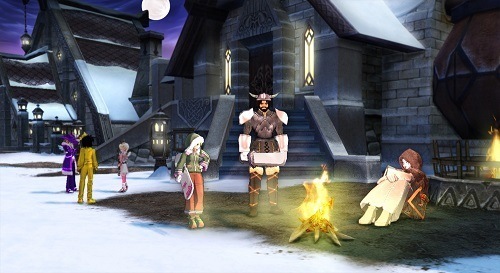 Combat in Mabinogi aims to be a little different in comparison to other MMOs with an emphasis on timing your attacks and taking into account your enemy movements. It’s the sort of system that will cause frustration at first but while other MMO combat becomes quickly stale you’ll find Mabinogi is the reverse and actually gets more enjoyable with time. Mabinogi combat is just a very small piece of the gameplay pie though with life skills, exploration and even part time jobs. Life skills include cooking, fishing, blacksmithing and all sorts of other tasks that can help you generate game currency or even improve your stats. With the freedom to approach Mabinogi as a sandbox adventure or as a more structured one through the mainstream plots there is attractive gameplay for all MMO fans. It’s a game with so much to offer that it is easy to see why so many players play for the long term and why the community aspects are so strong. 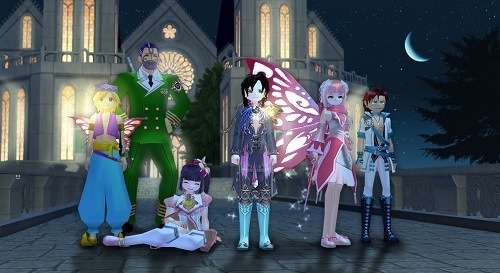 An anime style MMO that lets you create your own life. Few limitations allow you to enjoy all the content. Play the game as a sandbox adventure or follow through the quest storylines instead. Accept part time jobs and develop life skills such as fishing and cooking. Timing based combat requires you to actively think during battles. I love this gameeee! I hardly ever do the quests and are always rping with my friends.